A new Montegro UNCITRAL arbitration has begun. The small Balkan state has had a strong track record since joining ICSID in 2012. 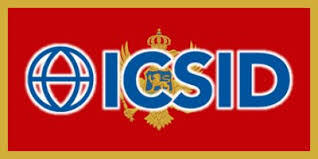 We have already reported on two recent ICSID cases against Montenegro, both decided in favour of the state. However, it seems like this is not the end of the road. Russian oligarch Oleg Depariska, in his personal capacity, filed an UNCITRAL claim against Montenegro in November this year. The reason is the decision of an ICSID tribunal from July this year in a case brought by Central European Aluminium Company (“CEAC”), a subsidiary of Deripaska’s En+Group, where the arbitral tribunal ruled it lacked jurisdiction to hear the case since Claimant had failed to prove that the official “seat” or registered office of CEAC was in Cyprus. Filing just a request for annulment of the respective award was not enough for CEAC and Mr. Depariska. He is now hitting back on two fronts, bringing claims in his personal capacity under the Russia-Yugoslavia 1995 BIT, which binds Montenegro by rules of succession concerning the ex-Yugoslavia. 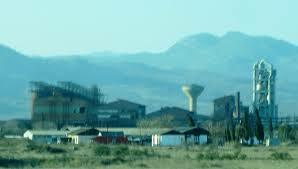 Mr. Depariska alleges that Montenegro unlawfully expropriated his investments in former State-owned aluminum smelting company KAP and a bauxite mining company named Rudnici Boksita. Claimant further invokes breach of the BIT’s fair and equitable treatment provisions. The Ministry of Foreign Affairs, in a press statement addressing Deripaska’s claim, stated that CEAC has already lost one ICSID arbitration with respect to essentially the same claims and that the State was determined to prove once again that it was always acting in accordance with a 2010 settlement agreement reached between the parties. A copy of the recent CEAC award dismissing jurisdiction is available below. It remains to be seen if Montenegro will continue to have a successful track record in defending itself before investment tribunals, but one thing is certain – his new Montengro UNCITRAL arbitration suggests that Mr. Deripaska has no intention of giving up easily.